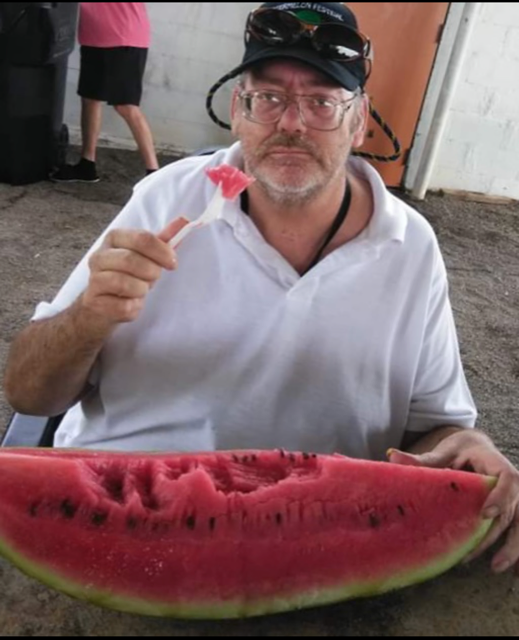 Lawrence Randall Spaulding, Oklahoma City resident, passed away Sunday, March 24, 2019 at Integris Hospice House in Oklahoma City at the age of 56. He was born October 12, 1962 in Edmond, Oklahoma to Waylane Randall Spaulding and Marye Ellen (Berkley). Lawrence graduated from NW Classen High School in Oklahoma City. He worked as a nurse’s aide and health care provider for several years. Lawrence loved watching OU sports, especially football. He enjoyed riding motorcycles and eating a good meal. He had a great personality. Lawrence’s greatest achievement was being a single parent and playing both roles as mother and father in raising his precious daughter, Gabrielle. Survivors include his father, Waylane Spaulding; daughter, Gabrielle Spaulding; step-daughter, Danielle Gothard; two brothers, David Spaulding and Scott Sparks and his wife Wendy; one very special friend, Sherrel Elkins and a host of other family and friends. He was preceded in death by his mother, Marye Ellen Sparks; sister, LeAnn Sparks and both maternal and paternal sets of grandparents.